Our Registered Apprenticeship program is expanding opportunity and reducing our cybersecurity talent shortage by enabling people to start their cybersecurity career, regardless of prior educational background. 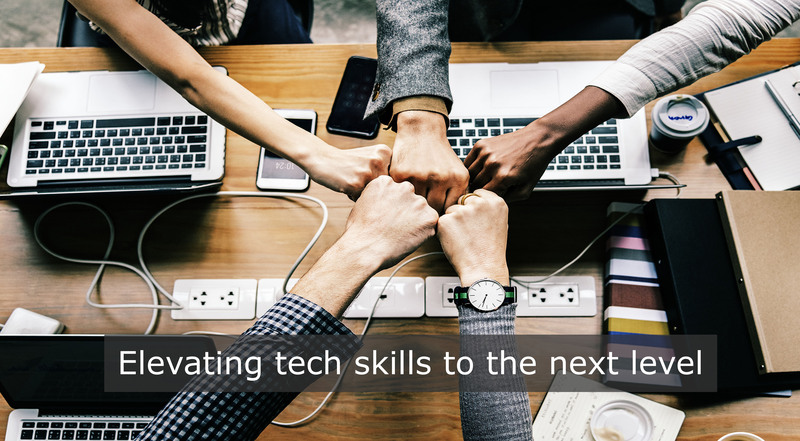 We believe by introducing children to cybersecurity in K-12, students will be equipped to protect themselves online and more likely to pursue a STEM career or higher education. Interested in getting more involved with our work? Look below for all the ways to get connected! Your support empowers young adults and youth to start cybersecurity careers. Donate today! This is your opportunity to invest in the workforce of tomorrow. Help volunteer for our youth camps, clubs, and competitions. We send out regular updates on events, latest news, and everything happening in the region. Sign up to receive our newsletter! We want to hear from you. Send us a note today to learn more about what we are doing! From sponsorship to candidate placement they do it all.